I’ve been making this dish for a while and I usually bake it in the oven. But when I bake this dish, it can take up to 90 minutes to bake. Sometimes I remember to start it on time and sometimes I don’t. I wondered if it could me made into a slow cooker dish. I gave it a try and it turned out great. 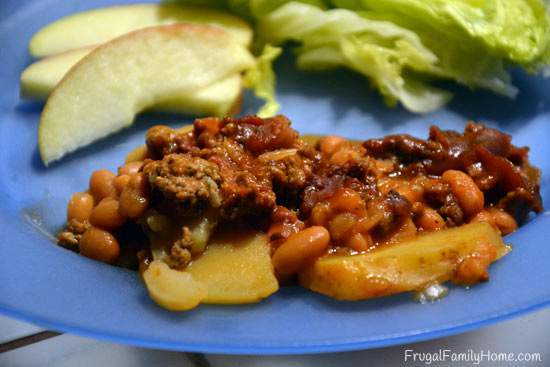 This dish is a yummy comfort food dish. 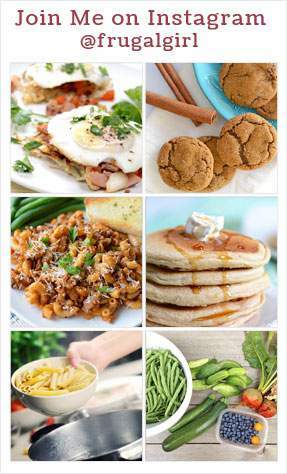 I love that it has everything in it, the starch, meat and vegetables too. I just have to add a salad or fruit and dinner is ready. Now that’s an easy dinner don’t you think? 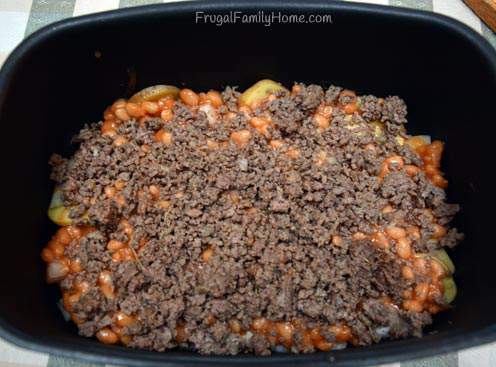 I usually use just half a pound of meat in this dish but if your family really likes to have more beef in the dish, just add in a whole pound. My son doesn’t like big pieces of onion and can find them really easily, in just about any dish. So, I usually chop them up fairly small. But If your family members all like onion you can leave them in rings. This is also a good dish to sneak in a few extra vegetables like, sliced carrots, green beans and maybe even some chopped peppers or broccoli. Any of those should work really well. I usually add a little salt and pepper to the dish for seasoning. But garlic or maybe even chili powder or cayenne pepper for a little more kick to it would work good. We keep it more mild at our house. 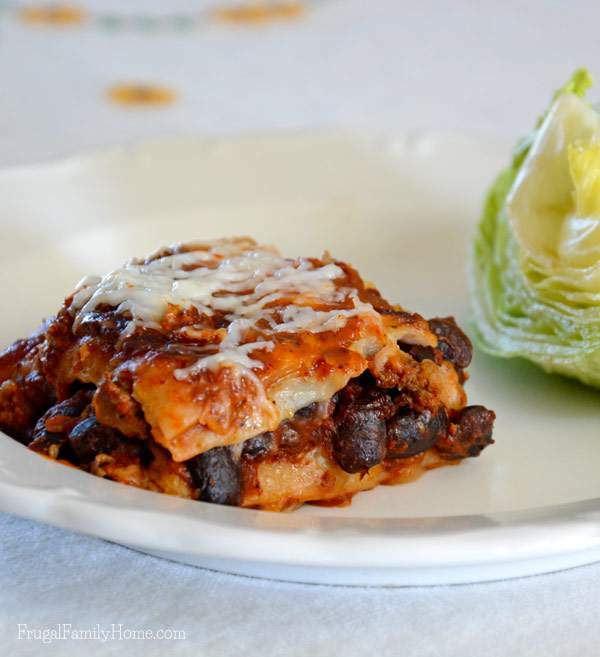 This recipe is a layered recipe. Add the potatoes, then onions and beans. Then add the cooked ground beef. I usually use one of my ground beef packages from the freezer to make it even easier to get assembled. Finally, add a can of tomato soup. If you don’t have any tomato soup, tomato sauce will work well too. Cook on low for 8-10 hours and dinner is done. Need a new slow cooker? I love the one I own. 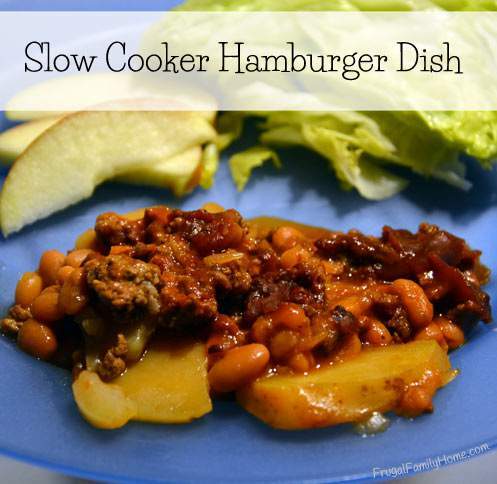 I used to go through slow cooker about once a year because I use them so much. But a few years ago I picked up this model and it’s still going strong. My mom had one just like it and it lasted for years. 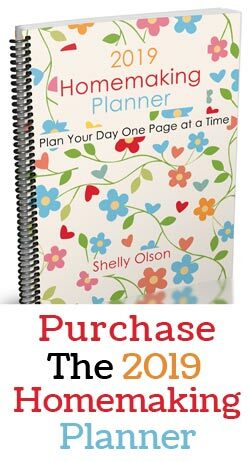 Here’s the printable recipe if you want to give it a try. 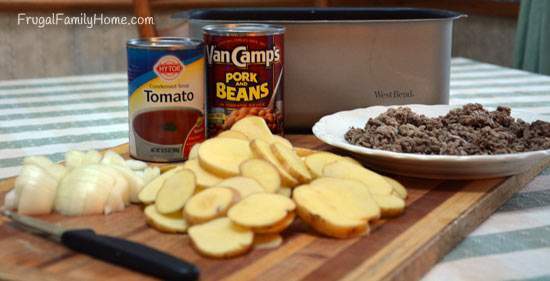 Slice potatoes and place in the bottom of the slow cooker. Add the onions on top of the potatoes. 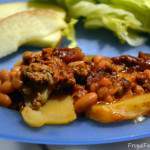 Spread the pork-n-beans over the potatoes and onions. Layer the cooked and drained hamburger next. Sprinkle the dish with salt and pepper to taste. Mix the tomato soup, water and steak sauce together. Spread it over the top of the hamburger. Cook on low 8-10 hours or until the potatoes are cooked. 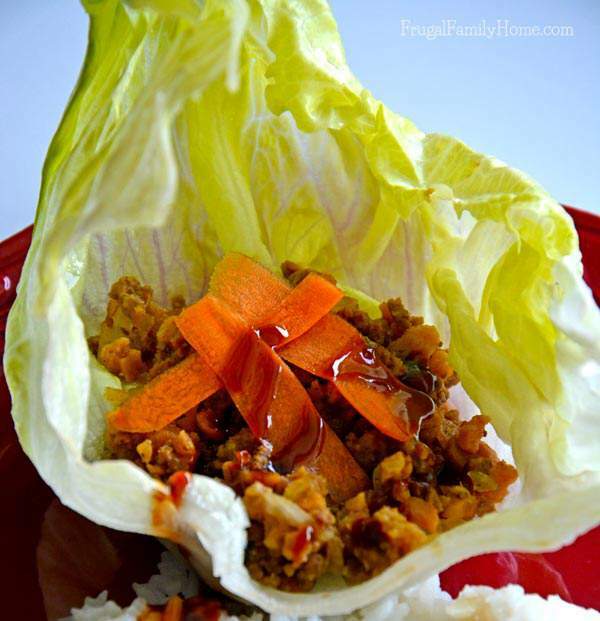 What’s an easy slow cooker dish you love to make? Please share it in the comments below. 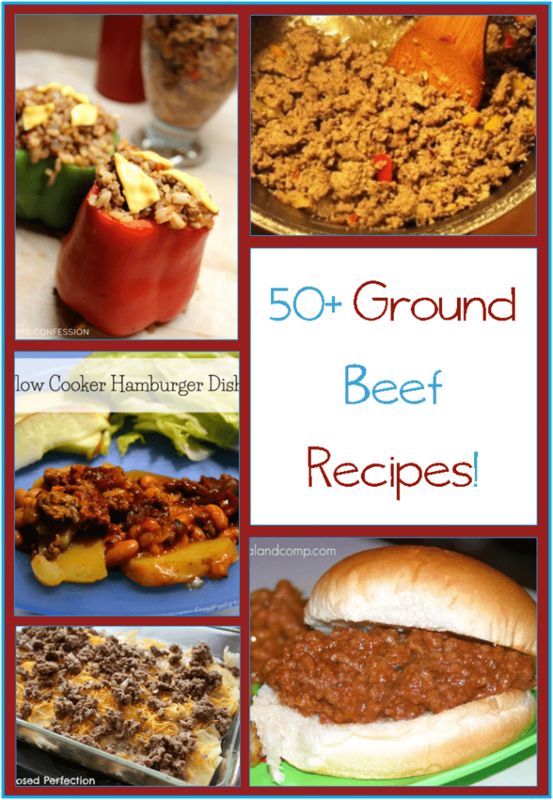 Looking for more ground beef recipes? Here’s a few more..